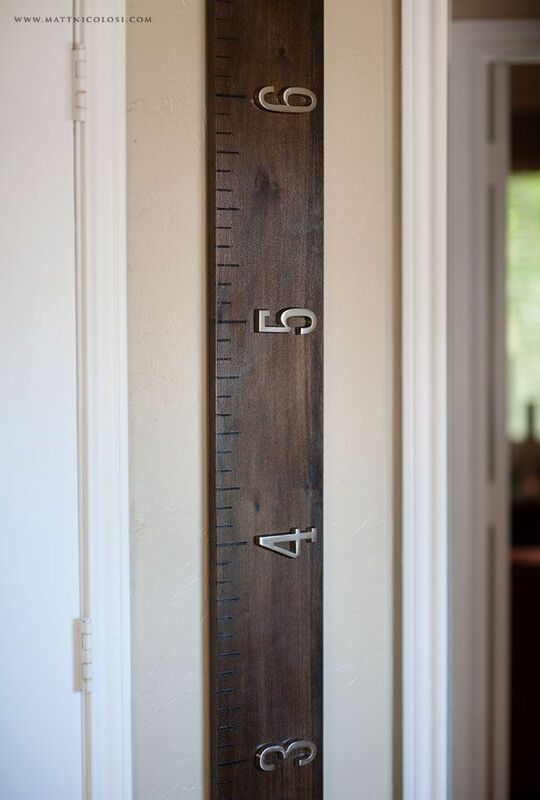 When I was younger, like a lot of families, my dad and Wendy had a spot on the inside of a closet door where my brother and I measured our height as we grew. 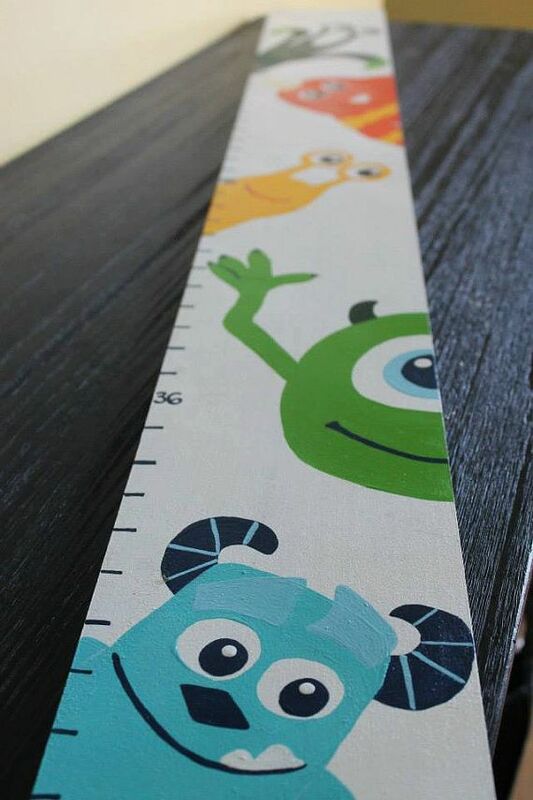 And even though I didn’t grow much (because I was always a total shorty till I hit high school) I LOVED when it was time to measure ourselves and I loved tracking it. It was in the house that I lived in the longest when I was little, but that was only about 7 years. I was SO SAD when we moved and that closet door stayed there. For our girls I resolved that I would get a height chart that was mobile so that wherever we moved that height chart would stay with us. Chris liked the idea too – or at least thought it was entertaining enough to indulge me – so we went to our local hardwood store. I, of course, could not make this out of standard lumber, no, I had to make it difficult and expensive for myself. While at MacBeath we wandered around their selection. They have SO MANY different kinds of hardwood. When we first told the guy who was helping us what we were using it for I could tell he thought I was a little crazy for being so specific about what kind of wood I wanted for a height chart, but as he wandered down the aisles with us I could tell he got a little bit into suggesting what kind of wood might work Chris and I wanted a more rare species of wood – we were investing in making this a fun piece of art, so we wanted it to stand out a little more. 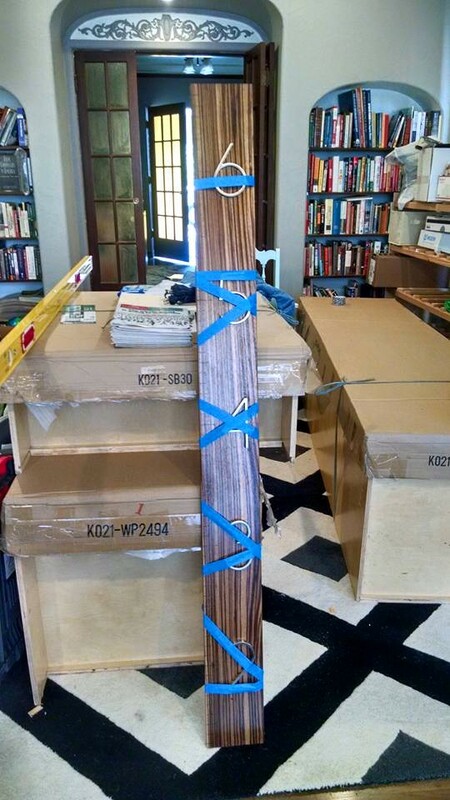 I’ve always liked the look of zebra wood, but it is really pricey per board foot, so we’ve never found an excuse good enough to use it. This seemed like the perfect time Would you like to know how expensive it is per board foot? Well, I can’t remember the price off the top of my head, but we paid over $100 for about 9 board feet of wood. Yes, crazy pants. But it was really, really cool looking. 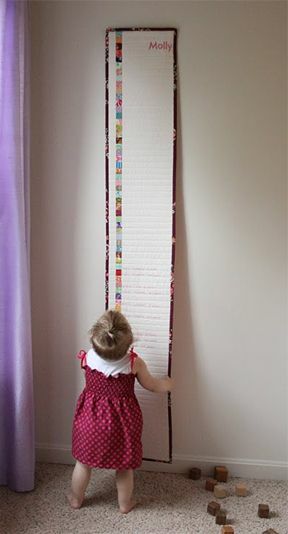 And I’m going to love this height chart damnit! My goal was to get this thing finished by Zoe’s 18 month mark. I figured 2 months was enough time. Well, that didn’t happen AT ALL. Life – as always – just seemed to keep moving and I completely forgot about it. I did work in little pieces here and there about every 6 weeks to 2 months. The first task: sanding it. A palm sander is WAY better than a belt sander (even though it is super rough at first) and you’ve got to work in pretty high grit so as not to gouge it and make awful markings on it. The wood also smells like crap when you sand it and is NOT GOOD for you, so it’s a good idea to wear a mask. And as extra precaution because I was pregnant I made sure to wear my respirator while I sanded it. After it was sanded it sat around for about 3 months without me doing anything to it. Then in April I picked it up again. Clearly I missed the 18 month mark, so I resolved I’d complete it before Zoe was 2. But, again, Chris and I really wanted to make this project more difficult on ourselves, so we decided that making the markings for each foot and inch in sharpie just would not do. We wanted to burn it into the wood. We tested out the various tips it came with on our scrap piece to see how much pressure had to be applied, how large of a mark it made, how accurate you could be, etc. So I put on 5 coats Making sure to lightly side and clean between each one. But we STILL weren’t done. 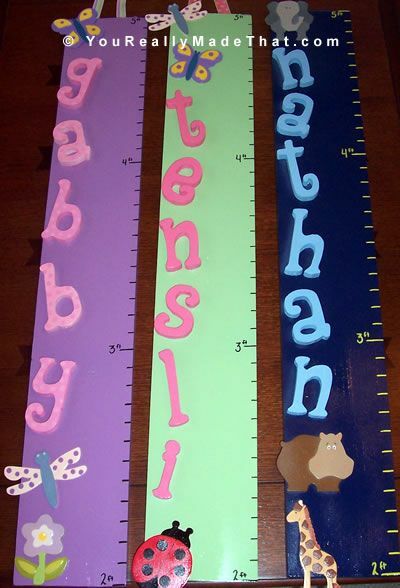 The last task was attaching the height numbers. I told you, this project was way more difficult than we needed to make it.